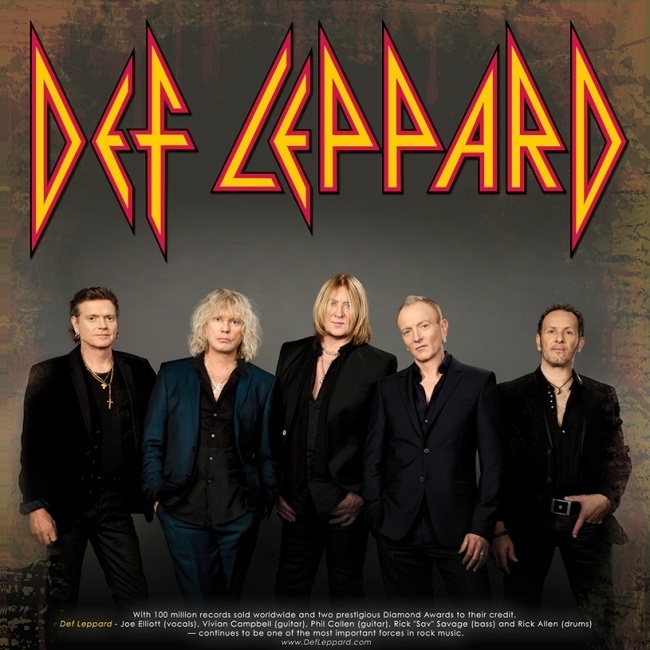 Def Leppard will play shows in Germany and the Czech Republic in May 2015 it was announced earlier today. The band will play two headline shows in the Czech Republic and three in Germany in May 2015. No support act has yet been announced. This marks the first run of German shows since November 2003 on the X/Ten tour. A festival date was cancelled in 2008 and the last visit to the country was on 7th June 2006 in Oberhausen during the YEAH! tour. The band last played in the Czech Republic in July 2008 on the Songs From The Sparkle Lounge tour. The last headline shows in both countries were also on the X/Ten tour in November 2003. The band will play in Ostrava for the very first time. The first of these five dates takes place there on 22nd May at the 12,500 capacity CEZ Arena. 8 shows have now been announced for the 2015 world tour in five different countries. Stay tuned for news of UK dates. The first show in Prague since 16th October 1996 on the Slang tour. The first show in Stuttgart since 10th November 2003 on the X/Ten tour. The first show in Offenbach since 13th October 1983 on the Pyromania tour. The first show in Cologne since 4th November 2003 on the X/Ten tour at the same venue. "When planning his concert tour in 2015 Def Leppard have not forgotten the Czech Republic. Meet at the O2 Arena and the CEZ Arena in Ostrava. Listeners can look forward to a show full of excellent songs from the entire history of the band, "he said." "For the first time in the Czech Republic, the band performed in 1996 in Prague sports hall, where she presented the album Slang. In 2002 followed the album called X. Even if the band during a world tour to this title visited the Czech, fans played the Rondo Hall in Brno."